Ladies and gentleman please join me in welcoming the newest member of the InvestComics Interview team, Ms. Andra Walt. In comparison, Ms. Walt is the Barbara Walters of The InvestComics Interview team! The biggest question is who will open up and cry first?? Will it be Justin Gray?? 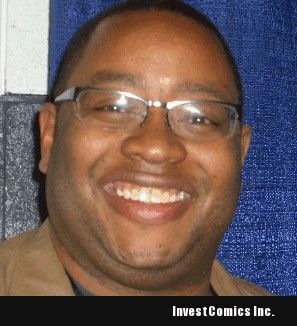 Just kidding, read ahead as Andra Walt talks to one of the best writers within the comic book industry today, Mr. Justin Gray. Andra Walt: I’m speaking with Justin Gray, the co-author (with Jimmy Palmiotti) of the hot new DC book The Ray with Jamal Igle as the penciler. Okay Justin, let’s just get the the banal things out of the way first. You were born when and where? Justin Gray: Rapid City South Dakota many years ago. JG: I went to culinary school, switched to commercial art and discovered I’m not a fan of institutional learning. AW: How long have you worked with Jimmy Palmiotti? How did you meet? AW: Jamal Is really making a name for himself. How did you get him for Ray? JG: Jamal is such a great talent and we’re lucky to be working with him on The Ray for a number of reasons not the least of which is his clean and accessible storytelling. With a book like this you need to be able to guide a reader through the story with a blend of the fantastical and very human moments. Jamal excels at that and you continue to see that over the course of the four issues. AW: What is Lucien/Ray’s originality? I read a review that said he looked a little oriental, but the parents were caucasian. I was wondering if he had been adopted? JG: He’s of Korean descent and was adopted by a Caucasian couple. AW: Do you have an interest in Yoga or the martial arts, as Ray seems to have those interests? JG: I’ve never done yoga, but I do appreciate yoga pants. I did train in martial arts for a number of years and have always loved the combat and spiritual sides to it. 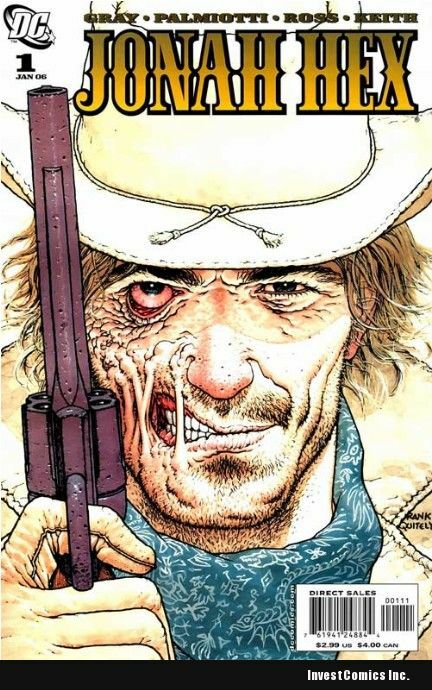 AW: Ray is so diametrically different from your other works (such as Jonah Hex). How did you come up with the concept? JG: I think we strive to create a new voice with every different project depending on the genre and concept behind it. It was important that Jimmy and I work against the grain with this title because we wanted to defy expectations. Not just with previous fans of The Ray franchise, but also with the trends in Superhero storytelling. You see that almost immediately in the first issue. AW: The girlfriend in Ray is different from the other superheroes in that she knows the powers of Ray. The other superheroes; ie, Superman, seem to feel that if their girlfriends know their powers they could be used against them. Why did you decide to go in this direction for the relationship? JG: Again it was a case of going against convention and shrugging off some of the superhero tropes in favor of a more grounded side to Lucien and his supporting cast. Faced with an origin story we decided to play off of people’s familiarity with superheroes by glossing over the stuff they’ve seen a million times in comics, film and even TV with shows like No Ordinary Family. We personally didn’t want to watch ANOTHER person with new powers make an idiot of them selves or sew a costume. AW: The introduction of Thaddeus Filmore caught a lot of readers off guard. The way he came into the story was genius! This is a great teaser, and I am wondering if you can give any insight as to how he will play into the book. JG: The basic premise was that Batman and Gotham feels like theater or opera – very intimate, literary and grounded. Superman on the other hand always feels to me like his stories should be IMAX 3D summer blockbusters. With The Ray we tried to blend those ideas. So we’re introducing Filmore as a unique kind of megalomaniac super villain who views the world as a film set where he controls the script, the drama and the special effects. He views ordinary people as extras in his epic film. To him, after being away from the world for decades, The Ray looks like a movie star hero. That fact causes a lot of internal and external drama. AW: “So we’re introducing Filmore as a unique kind of megalomaniac super villain who views the world as a film set where he controls the script, the drama and the special effects.” This so reminds me of the Shakespearian quote “All the world is a stage and the people just characters” (or something to that effect). Do you have any background in literature? JG: Beyond reading as wide an array of material as possible I don’t have a background in Literature. I started out writing bad novels and even worse poetry, which I’m sure isn’t uncommon, but I’m largely a self-taught writer. I’ve taken two writing classes in my life, but the best advice came from reading and the best experience came from being rejected THOUSANDS of times. Once you get past the youthful anger of having someone tell you the truth about your work, you can start to look at it objectively and learn to make it better. Or at least try to make it better. AW: How do you think a new superhero will fair in the market of Superheroes? What do you feel will set The Ray apart from the others? JG: That’s the puzzle of superhero comics. The thing that makes them great is also the thing that can make them so frustrating. A good percentage of the audience has been trained to look at each new hero with the perspective of a long-term commitment. Everyone involved is committed to putting out the best 4 issues of The Ray that they can. We can’t worry about anything beyond that. 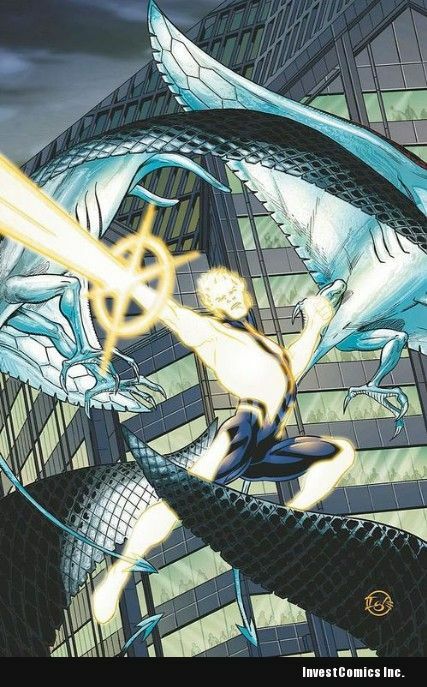 AW: Is there a collaboration on the story ideas between you, Jimmy and Jamal, or do you just send him the script and allow him free rein on the designs? JG: Comics are naturally collaborative, but what we try to do, unless there’s a specific visual element needed, is leave scripts open to artistic interpretation. The last thing you want is for an artist to feel like drawing a story is hard labor. Obviously no one gets into comics unless they love the medium and bring an enthusiastic joy to writing, illustrating, inking, coloring and lettering for a living. Anytime you design something there’s going to be a mash-up of different ideas and visions. AW: Is The Ray going to be released digitally? 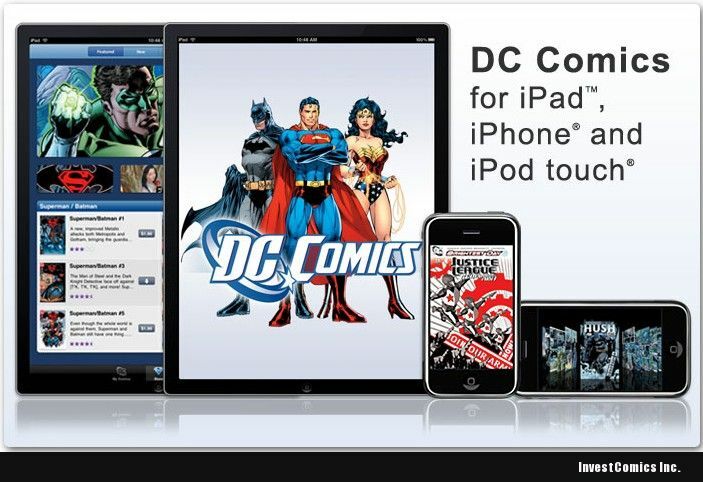 How do you think the world of digital books will affect the LCS and the comic industy? JG: The Ray is already available as part of the same day as print initiative, which I think is great for people that don’t live near or have a local comic shop. You take pride in your work and would like to see it available in as many places as possible. Comics have a very short leash when it comes to sales so the more people you can bring in the better chance you have of sustaining a title. Personally I like the digital platform for all media. I don’t buy hard copy anymore unless it is something special like an omnibus or an oversized hardcover edition. Digital makes it so much easier to pick up indie books that are under ordered or overlooked. That’s one of the things that ideally will help the industry grow. I do have some ideas about formatting and navigation that would make the buying experience much more logical, but it will get there eventually. AW: It would appear that you and Jimmy are working on 3 books each month. How do you keep up with such a tight schedule, and how do you keep each book compartimentally separate in your minds? JG: The key is to get way out in front of deadlines. From a creative and production standpoint there’s nothing worse than having a deadline hang over your head. We try to have at least six months of work finished, this way it allows for stories to progress organically. You can pick up and put down any story or character depending on inspiration. Of course being so far ahead comes with challenges when you’re working within a shared and every evolving fictional universe. Sometimes we have to go back and restructure or re-write, but having that six-month buffer works in our favor. It also helps the artist to know they’ll never be waiting on a script. I prefer having the freedom to work in chunks and by that I mean we might write three or four issues of one title in a two week span and not pick it up again for a month. That gives us time to breathe and come back with renewed enthusiasm. AW: You alluded to a green lifestyle in the aside speaking of Lucien’s parents. Is this something that you think is important is this day and time? JG: I think we should care about the world we live in and not just the part we occupy. Clearly with the population growing as rapidly as it is and having finite resources available on this planet we would be wise to find ways of keeping Earth from turning into a global episode of Hoarders. AW: You also gave a “velvet hand” slap at the media on the first page. Do you feel the media works to hard in trying to push views on the public? JG: That was more of a wink at the fans of the previous Ray. I thought the jab at social networking sites had more of a playful sting to it. AW: You have worked with other versions of the The Ray while writing Uncle Sam, did you borrow much form them or was this a clean break? JG: This was a completely clean break. Only the name and power over light are consistent. AW: I am a real fan of All Star Western. In this, you bring up a “secret society” and the Batman books also are speaking of a “secret society”. Due to DC trying to get more continuity into the books, is this a plot line that is going to merge somewhere down the line in DC books? JG: Thank you! 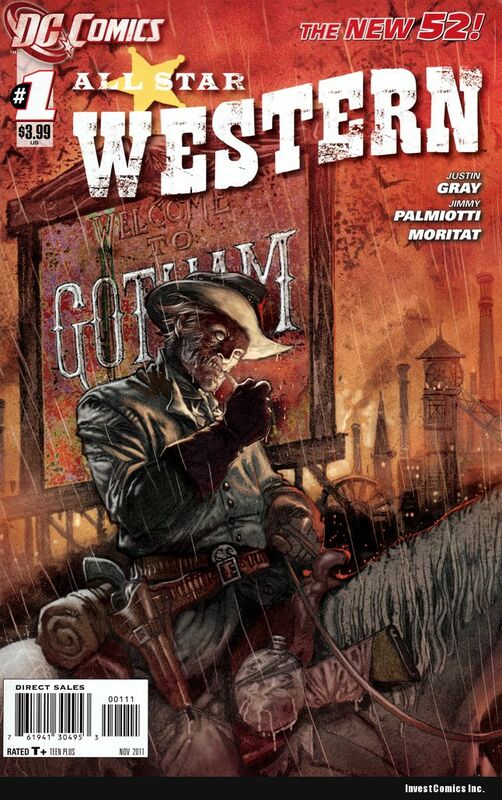 We do love working on that book and hopefully there will be more “western” in it as we move forward. We’re discussing ideas regarding an expansion of those elements for a later date. Can’t say much about it now though. 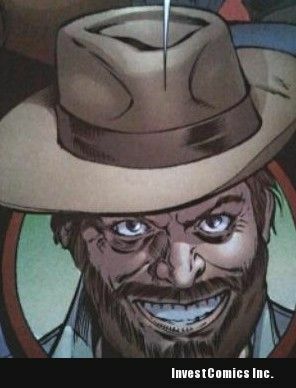 AW: All Star Western also is setting up almost a Sherlock Holmes – Dr Watson pairing. Was this intentional? JG: Once we included Arkham it seemed like an interesting pairing and to play on the differences between them. The plot had to involve more of a crime and urban scenario so that would allows Arkham to use his skill set for psychoanalysis. AW: How much does the DC editorial team affect your storytelling? beauty of the New 52 because the field is wide open to tell new stories and take books in directions that were previously unavailable. AW: Will you be attending any Comic Conventions in 2012? JG: Yes, I’m just not sure which ones yet. AW: Now I would just like to ask a few questions about some of your earlier works. 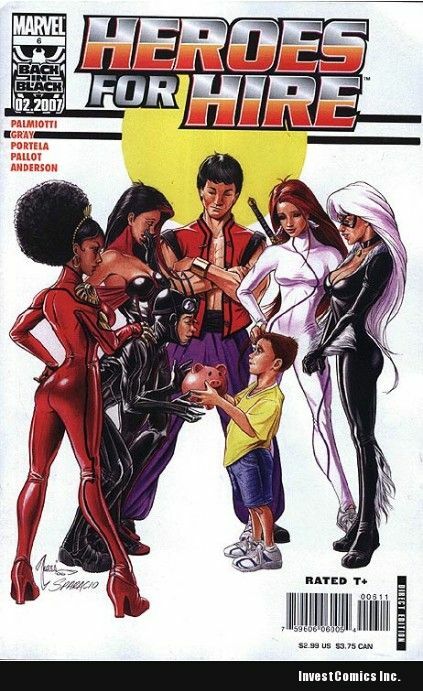 It seems that a lot of today’s hottest talents have a history of working on Vanperella, you and Jimmy Palmiotti worked on the Vampirella Comics Magazine in 2003. What is it about that character that seems to be a rite of passage for writers and artists? JG: I couldn’t say for sure. AW: You and Jimmy launched a new Heroes for Hire series post Civil War where you worked with Billy Tucci and later Al Rio, though short lived. How was that experience? JG: It was a great experience working with Billy and Al, both are very [talented] and of course I have a particular affection for Daughter’s of the Dragon. AW: I really want to thank you Justin for being so open and accessible. I wish you much success for The Ray, and can’t wait for Issue 2. Thanks again. 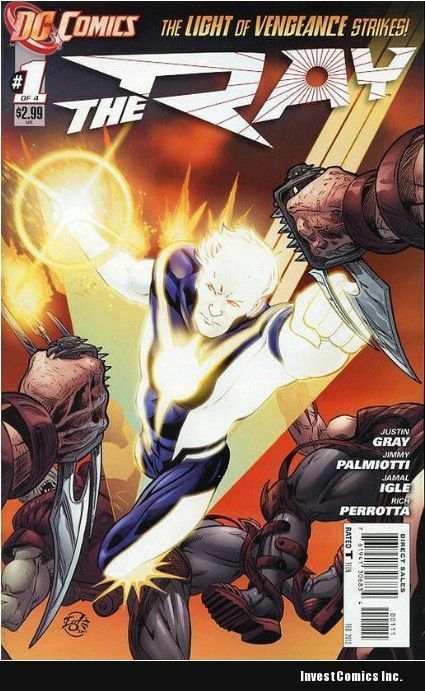 *Be sure to check out Justin Gray’s latest comic this week, DC’s big hit The Ray #2. 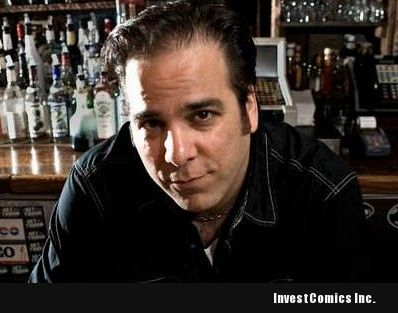 Stay tuned for more from the BW of InvestComics, our AW! Fantastic interview, and welcome aboard!